Bad customer experience is really expensive. If left unchecked…It will result in negative word-of-mouth. People who receive a poor customer experience will tell a lot of people. This repels other potential customers before they ever visit your website, or step foot in the door of your business. It kills retention. Your customers have a lot of options when choosing who they do business with. And, their service expectations are higher than ever. One wrong move will make more than half of them jump ship. It will burn your bottom line. Your company will need to spend more money acquiring new customers to make up for all the existing and potential customers it’s losing. Ok, you know poor customer experience is bad for your bottom line. But, how do you fix it? The first step in any resolution process is to first identify the source of the problem. Ask yourself: What is the most common source of complaint or frustration for my customers? Once you know the answer to that question, you’ll be able to start turning things around. To help you get started, we’ve listed 11 of the most common (and costly) customer service down falls. Any sound familiar? If you want to see repeat business, you need to be reachable by your customers. Considering that 83% of consumers need support when making an online purchase, and most expect to get it within 5 minutes, if a customer finds it difficult to reach a service representative or manager, they will likely abandon the transaction. Where do your customers prefer to get assistance? Despite this fact, 75% of customers still believe it takes too long to reach a live agent (Source: Harris Interactive). If customers don’t get the information they want, when they want it, you will lose them. It doesn’t matter if you have one, or one hundred employees. Everyone, in every department, must be trained to deliver an exceptional customer experience. Customers do not like it when they feel like they know more about the product/service than the employee. Not taking the time to properly train all staff – from bottom to top – is one of costliest mistakes made by many small businesses. We’ve all heard it. Most preach it. But, very few companies actually live by it. There are too many companies out there that would seemingly rather win an argument, than keep a customer. This not only leads to lost customers and revenue, but encourages negative reviews that hurt ongoing customer acquisition efforts. In most cases, you need to lose the argument in order to win (or keep) the business. At the end of the day, your promise to the customer is everything your business stands for – or does not stand for. Break the promise and you break the trust. People don’t do business without trust. If you tell a customer something is going to be ready by Friday, then you better make sure it is – no exceptions. If a commitment cannot be met for reasons out of your control, don’t make excuses or pass the blame. 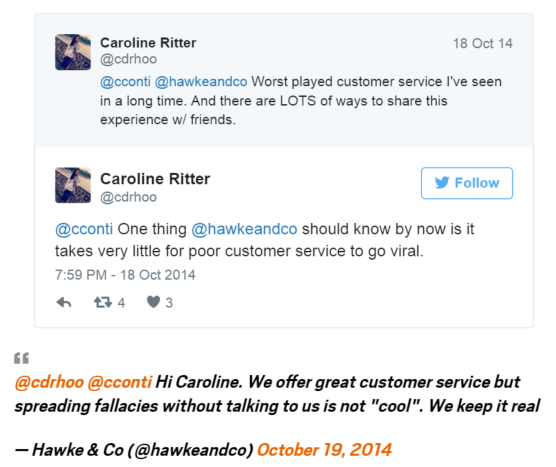 Make an apology and go above and beyond to make sure the customer leaves happy. With the adoption of smartphones and other new technologies, consumers are now engaging with businesses across multiple devices and channels. This has caused a shift in consumer expectation. Your customers now expect contextual service delivered on “their terms”. Customers don’t want to feel like just another support ticket number, they want to feel connected with those they are doing business with. If you want to better connect with a customer, you need to find out what makes them tick. Three factors are driving personalization – data, speed and channels. Customers not only have higher expectations of speed and responsiveness, they also expect organizations to know about their preferences, previous purchase behavior and past interactions with marketing, sales and support staff. In a competitive marketplace, the way a company handles an inquiry or complaint can mean the difference between success and failure. Sadly, too many people do not listen with the intent to understand; they listen with the intent to reply. Details get missed. The source of the problem is not properly identified. Resolutions are slow to be met. The result: Customer feels unappreciated, and leaves. 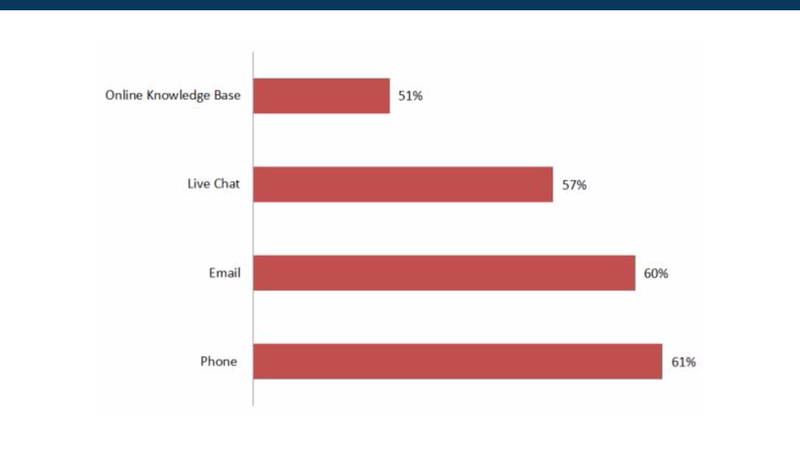 27% of companies do not respond to email inquiries. 66% of companies do not acknowledge or inform the customer that their emails have been received in any way (Super Office). According to a Harvard Business Review, the biggest complaint that customers have when dealing with any business is poor customer follow-up. And, it’s not just confirmation emails or gauging customer satisfaction levels… 62% of consumers have to repeatedly contact businesses to get their issues resolved. Not following up is a sign you don’t care. The Data: 73% of customers stated that rude and incompetent staff were the primary reason they stopped doing business with a brand. This is the perfect example of a rude support staff making a bad situation even worse. 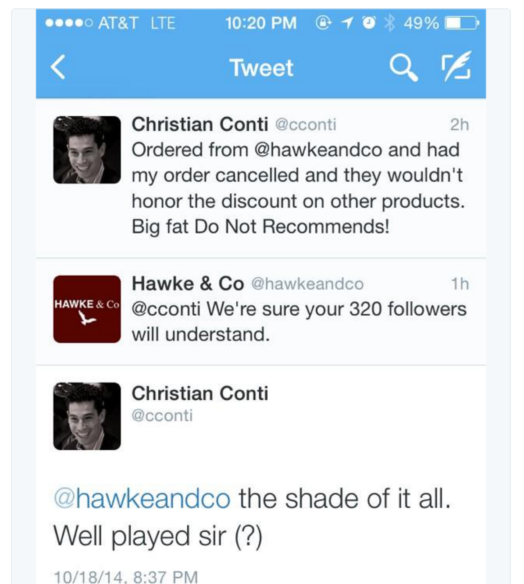 What are the chances this customer leaves and tells their friends to avoid Hawke & Co. like the plague? When someone calls into your business, they expect the support agent to be the first and last person they speak to. But, 26% of consumers have experienced being transferred from agent to agent without any resolution of their problem. (2012 Global Customer Service Barometer) There is only one thing more frustrating than having to tell the exact same story to one agent after another… That’s being transferred from one agent to agent without any resolution of your problem. Which is what 26% of consumers experience, according to this report. Whether it’s online, over the phone or in the store, passing the buck is the same as passing the customer onto the competitor. Businesses that view service not as a cost, but as a sales and retention opportunity will be the ones that succeed in the future. The White House Office of Consumer Affairs predicts that by 2020, customer experience will overtake price and product as the key brand differentiator. And, 86% are willing to pay up to 25% more for a better customer experience. Make sure your business is not guilty of the 11 poor customer service traits listed above and you’ll be rewarded with more loyalty customers and a healthier bottom line.